Electric Eel 3” x 100’ Sewer Auger. 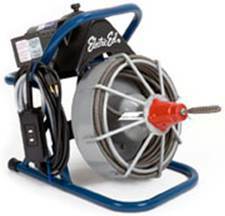 Manual feed electric drain cleaner. 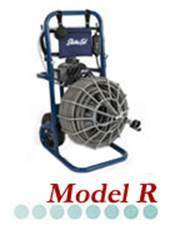 The Model R Drain Cleaning Machine features a Flex Leader and an extra heavy-duty frame constructed of 1-1/4” steel tubing. 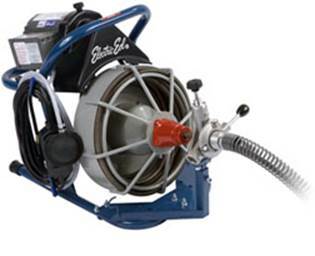 The 12″ Flex Leader helps negotiate bends and traps, and is now standard with the Model R Tool Set. A compact machine with open cage design for easy inspection and cleaning. Belt Guard makes maintenance and repair easier. Cleans 3″ – 6″ diameter lines up to 100 Ft. Runs 3/4″ diameter “TRI-MAX” cable, industries toughest cable.